Monteurzimmer Dingolfing - Straubing: Gästehaus Horner | Welcome! 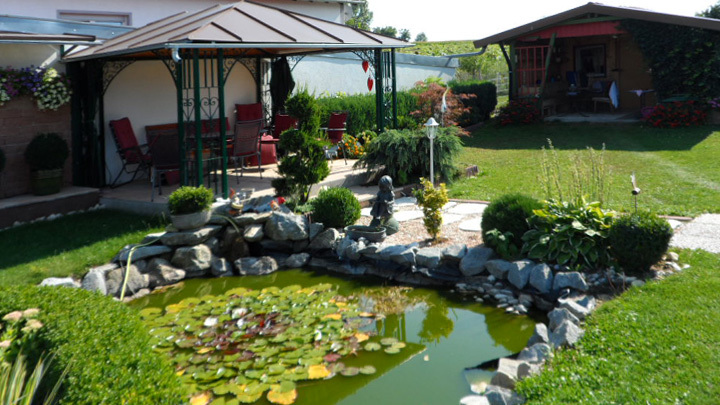 Guest house Horner is located in a peaceful natural landscape in the heart of Lower Bavaria, in Seibersdorf near Leiblfing. Well-appointed rooms and a large parking lot in front of the house and are some of the advantages of our guest house. The central location near Dingolfing and Straubing makes the guest house a perfect retreat for those looking for rooms for mechanics or engineers during their stay in Lower Bavaria. The well-being of our guests is very important to us. In a cozy atmosphere you can relax after a stressful day at work with good company. Our photo gallery offers a first look at our family run guest house and its comfortable yet cozy rooms. On this website you will also find information about the furnishing of the rooms and a practical driving directions. By the way, since 2015, we can also offer you rooms in our new branch in Straubinger Str. 80a / Leiblfing! Have we piqued your interest? Then contact us. Due to its central location in Lower Bavaria the perfect choice for those looking for a guest room or guest apartment in Dingolfing / Straubing.